Furnishing a wood dollhouse? Here's the way to do it! 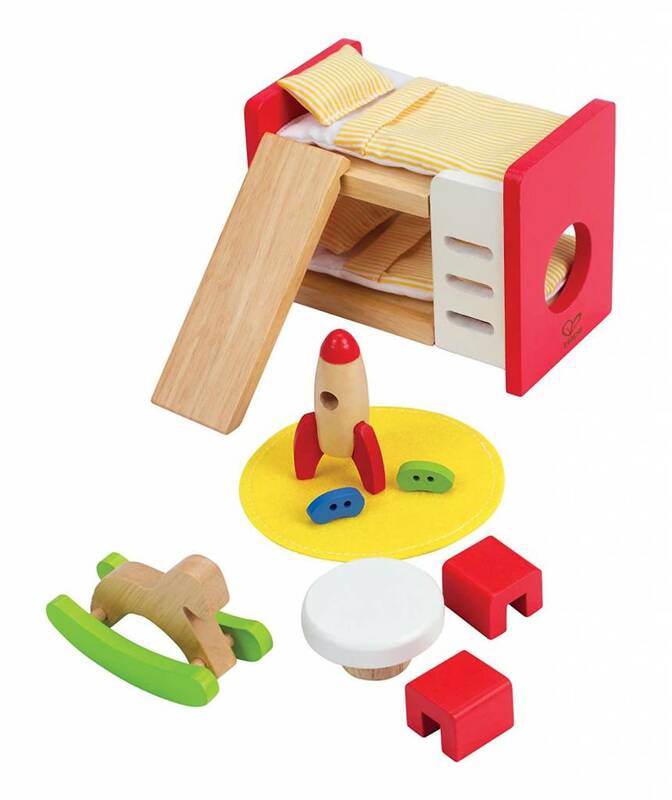 This high-quality wood doll furniture withstand lots of love, and it's sold by the room so all the pieces work together. Each collection features fine wood craftsmanship and charming details. 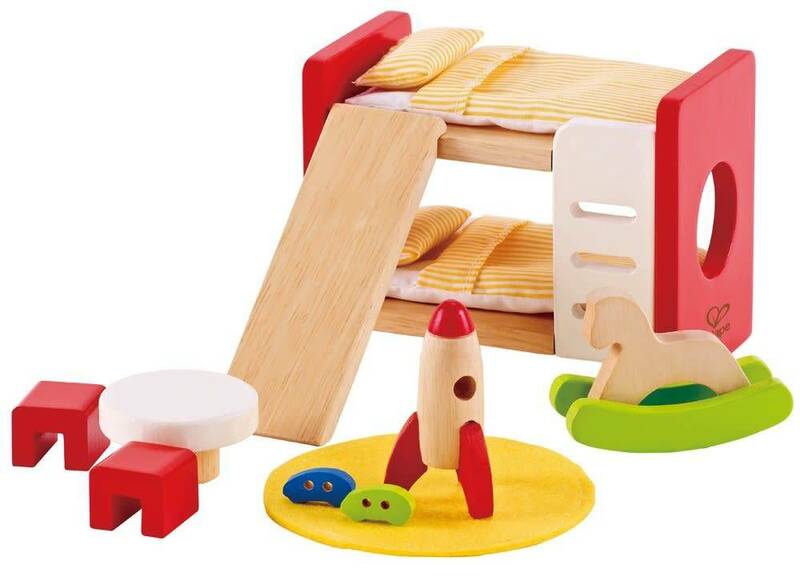 This fourteen-piece children's room set includes bunk beds with cloth blankets and pillows, removable ladder/slide, table, two chairs, and rug. 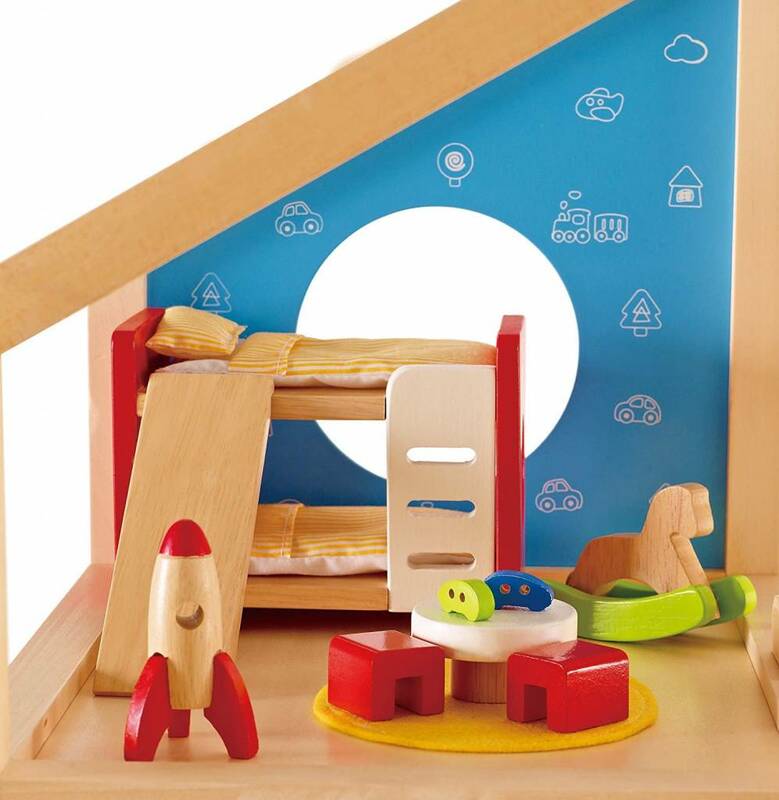 Fun dollhouse toys include rocking horse, rocket ship, and two cars. 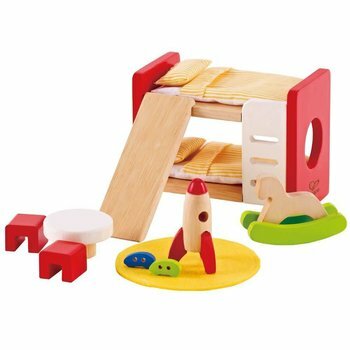 Fits perfectly into your All Season Dollhouse or any 1" scale doll house, and can be easily mixed and matched with our other high quality doll furniture sets. 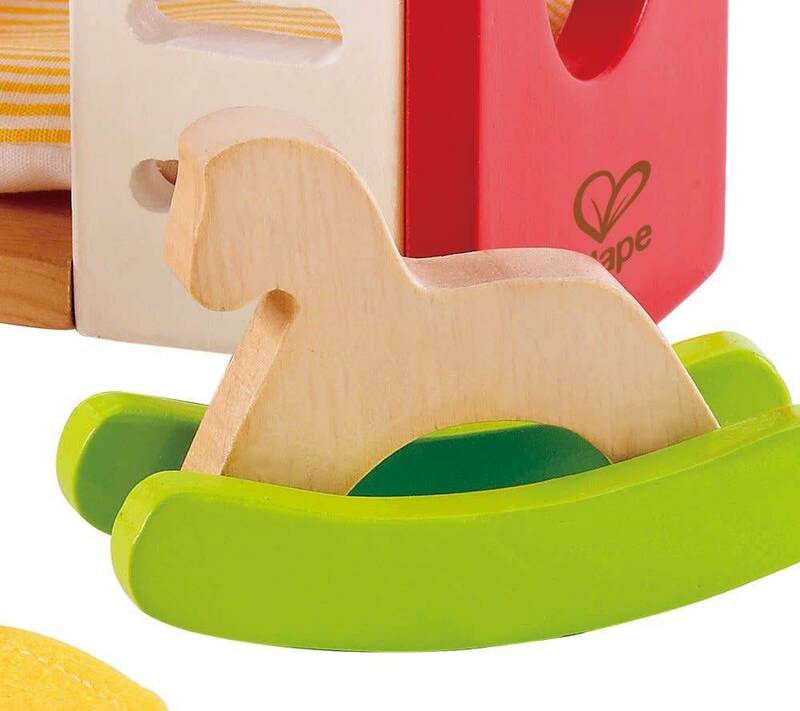 Durable child safe paint finish and solid wood construction are hallmarks of Hape toys. 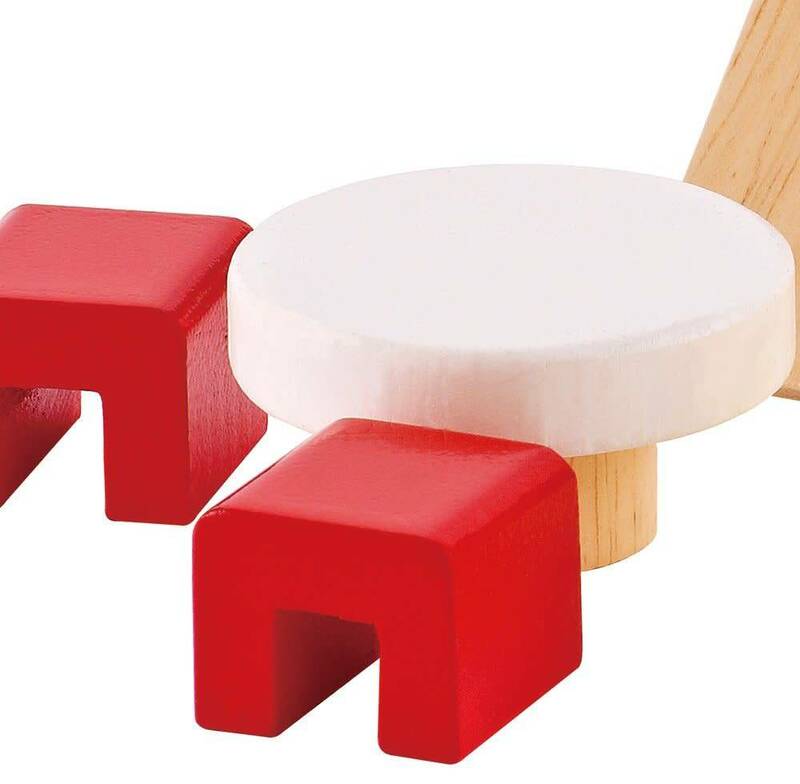 Hape's toys stimulate children through every stage of development and help nurture and develop their natural abilities. All Hape products sold in North America meet or exceed all applicable safety standards. This is my room. Every child needs a place to call home. Fits perfectly into your All Season Dollhouse or any 1" scale doll house. 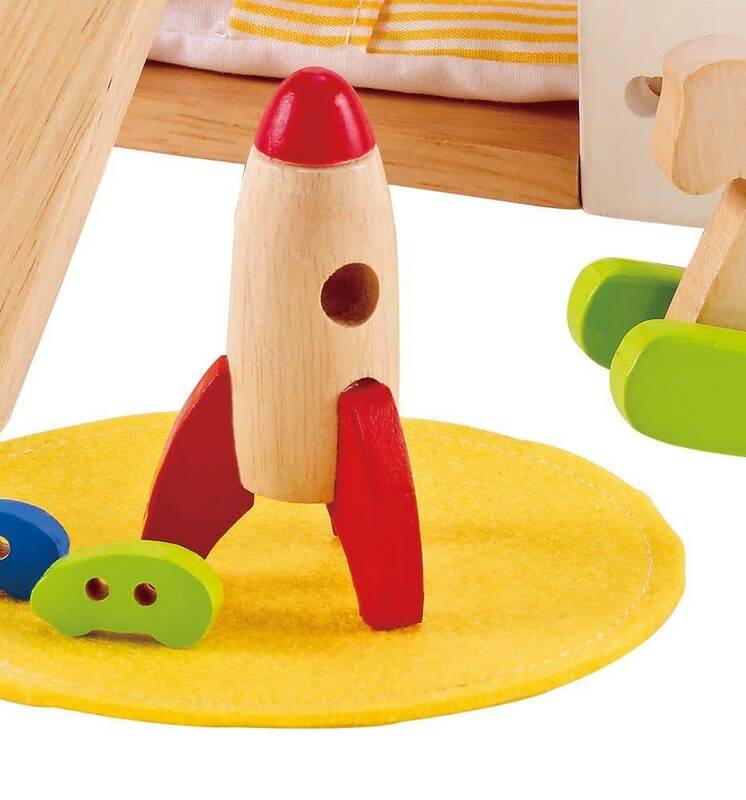 Durable child safe paint finish and solid wood construction are hallmarks of Hape toys. 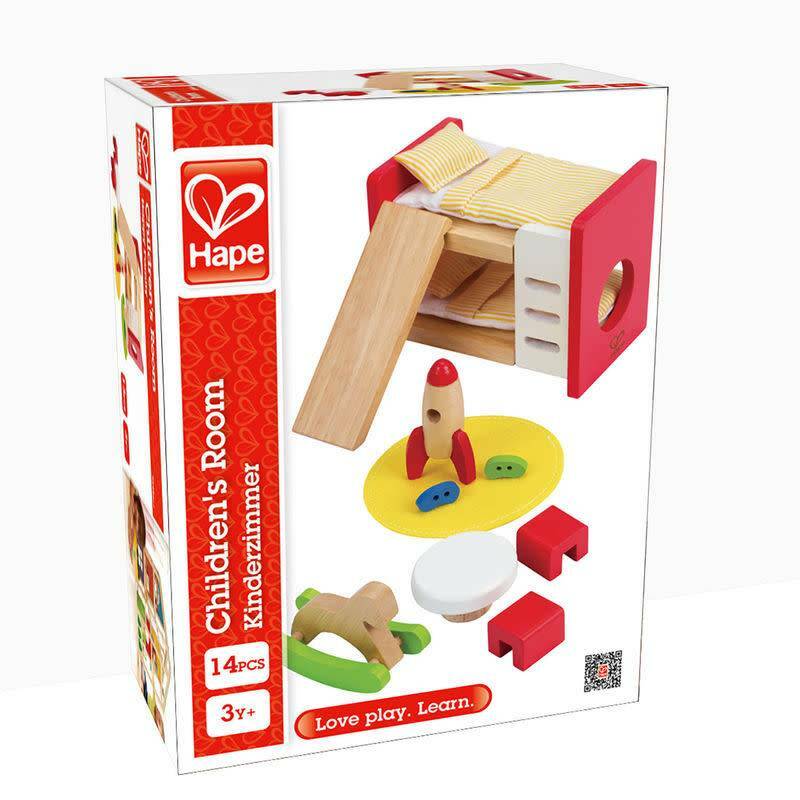 Hape's toys stimulate children through every stage of development and help nurture and develop their natural abilities. All Hape products sold in North America meet or exceed all applicable safety standards.